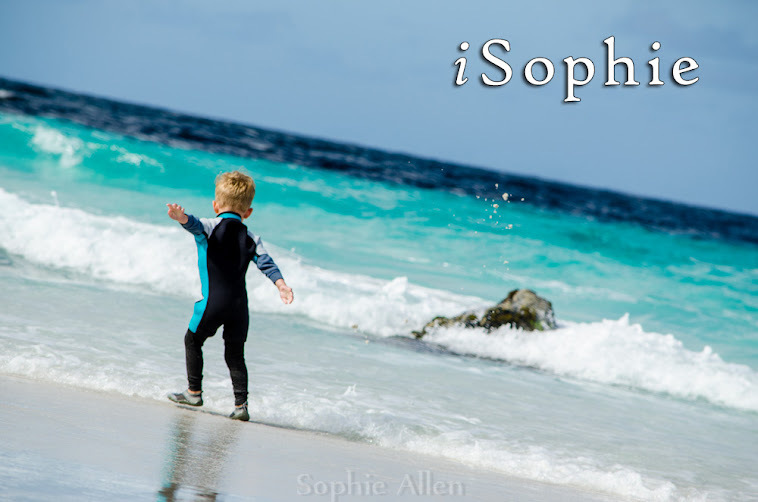 iSophie: My reluctant little athletes. We tried out little athletics on Saturday. Voltorb is really not very big on running, though he did manage to be randomnly awesome at soccer. So at the thought of 'Little Athletics' he got himself in such a state, crying and refusing to cooperate. It was something new and different. Not knowing what to expect of the morning he just closed his mind off from even entertaining the idea that he might enjoy himself. Oshawott joined in on the antics, monkey see, monkey do, so I had them both crying and hanging off each side of the pram. I had to stand my ground, he really needs to have a go to see if he likes it. Plus he was also setting an unfortunate example to his brother. It only took 15 minutes of crying, negotiating, refusing, marching to the car twice, yet it was the thought he could miss out on a sleepover at his best buddies house that finally snapped him out of it. Normally, there is no snapping him out of such an episode. But he really wanted to go on his sleepover. Oshawott also then decided to participate, and was very keen to get started when he saw the tiny tots first activity was jumping in sand! Thankfully, all the while this was unfolding, Legoman was joining in with his age group, having fun, meeting new friends and being active. He is excited to go back next Saturday, whereas Voltorb.. well let's just say, he's still not a big fan of Little Athletics. I had a hard time trying to keep up with each of the 3 age groups the boys were in, so wasn't able to get many photos. The younger groups use a vortex thingy in place of javelin. Oshawott getting ready for his race. He is 3rd from the left.